Beachcombing for abandoned seashells is a popular activity among St. Simons Island real estate owners and visitors alike. Many people that hunt for coastal Georgiaâ€™s seashells like to incorporate their best finds into their St. Simons Island homes’ dÃ©cor. Others like to just record what they have found and leave the shells behind. With that said, hereâ€™s a look at some of the islandâ€™s public beachcombing spots and which shells you might encounter along the way. At present, there are more than 35 public beach access points on St. Simons Island. A map detailing each location is readily available online. If you want a beachcombing spot that features assorted amenities, Massengale Park would make an excellent destination. It is ADA accessible and offers access to public grills, picnic tables, restrooms and a playground. Gouldâ€™s Inlet is an additional access point that is popular with beachcombers. What makes it so ideal is that it doesn’t attract as many tourists as the other access points. So beachcombers are typically able to wander around without having to worrying about stepping onto someoneâ€™s beach blanket. The access point also features a water hose and shower area where seashell hunters can wash off their finds. 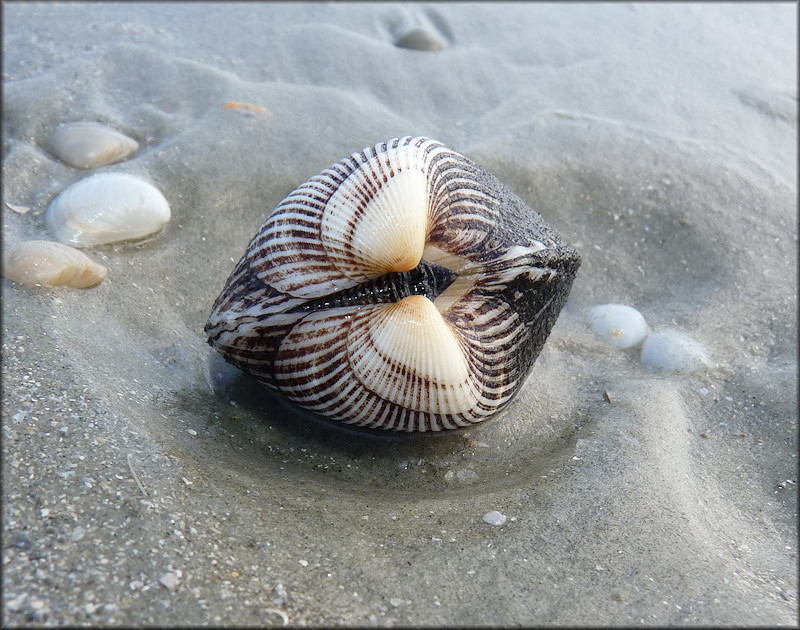 One of the seashells that you may find at the Inlet or on other pieces of St. Simons Island beachfront real estate is a knobbed whelk. It is actually considered to be the state seashell. It is a whorled shell that generally features ocher striations, a right-side opening and well defined spines. The incongruous ark is another seashell that is commonly found on sections of St. Simons Island real estate. They tend to grow approximately 2 to 3 inches long and sport radial ribs in assorted colors. The list of colors traditionally includes various shades of gray and white. Other seashells on offer include, but are not limited to coquina, disk dosinia, lettered olives, giant Atlantic cockles and cross-hatched lucina. To learn more about St. Simons Islandâ€™s best beachcombing spots and how you can obtain a section of seashell paradise to call your own, please contact DeLoach Sotheby’s International Realty. Our office phone numbers are (800) 837-0406 and (912) 638-0406.